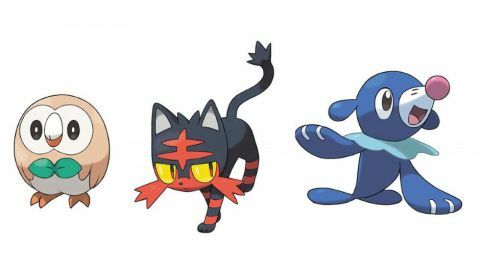 As you may already know, this week Nintendo revealed the starter Pokémon for the newest games in the never-ending cycle, Sun and Moon versions. You can watch the trailer here. Now, this may not be your typical Monster of the Week post, but I’m duty-bound as a 90s kid to hop on board the hype train. Indulge me. So, without further ado, let’s talk starters! To no one’s surprise, my favorite of the bunch is Litten, because a) KITTY, and b) I am fire starter trash. 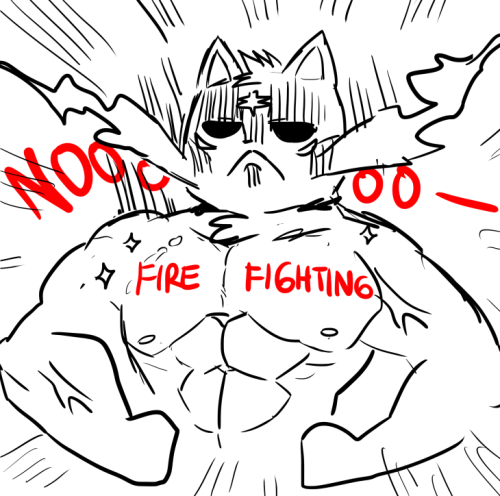 Or— I was, until the third fire/fighting starter in a row. Seriously though, I think Nintendo’s wised up to fans’ irritation with the fire/fighting starters. I’d be pretty surprised if Litten goes that way. So what will its secondary type be? The obvious choice seems to be dark type, just based on its color scheme, shifty eyes, and the fact that it’s a cat. Fire/dark is a pretty neat combo if you ask me—though we already have Houndour as a fire/dark dog, and Purrloin is already a dark-type cat. So what other options are there? As much as I would love a ghost-type starter (nine lives? ), it seems like a stretch. I could see a fairy-type cat, but not with Litten’s design choices. And psychic, while a fitting choice for a cat, seems too soon right after Delphox. What about just a plain fire-type? We haven’t had one of those since second gen. And there was a pure grass-type as recently as fifth gen…. 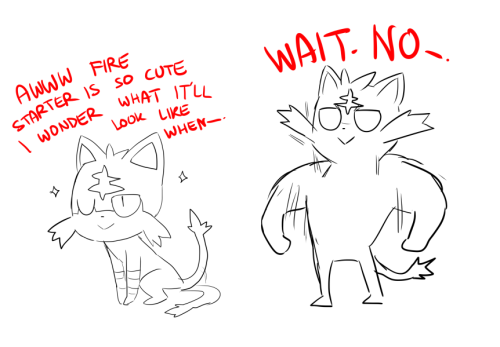 So my bet for Litten’s final evolution is either fire/dark or pure fire. Well, it’s grass/flying from the very first in its evolution line, so there’s not much to speculate on there. I guess it could change types, but why? Nah, I’m seeing grass/flying all the way. As much as I am already dedicated to Litten, I have to admit Rowlet is pretty cute. I mean, it has a bow tie. A little teeny leaf bow tie. What’s not to love? Which brings us to… Popplio. Looks like kind of a doof, doesn’t it? I mean, the poor sucker’s having fun, at least you can say that much for it. But before you dump on Popplio too much, remember Oshawott? I bet the little guy will end up with a pretty cool final evolution when all’s said and done. At least, I hope so. Popplio at least deserves that much, with all the internet hate it’s getting already. So what secondary type will it get? Fairy. It’s going to be fairy. I don’t even need to explain that. Just look at it. There is literally zero doubt in my mind that Popplio will end up being a water/fairy type. Of course, I could be completely wrong about all of this. Feel free to come back in a few months and rub it in my face. There is one thing I know for sure, though: I am 100% #TeamLitten. I need no more information than that adorable little face, just lookit those cute little whiskers aww I wanna scoop it right up whosacutekitty yes its you yes it is! So, Pokéfans, what do you think? Type predictions? Have you already picked out your starter, or are you waiting for more information? Have at it!